An asphalt roof has several advantages as a material that you will not find in other materials. There is a reason why it is one of the most popular kinds of roofs throughout the entire nation. If you already have this kind of roof, or you are interested in getting one, we are happy to put our expertise to work on your roof. Asphalt roof: 937-681-8910 for a free estimate. Many years of experience in our area. The materials behind an asphalt roof, which line the structures of so many everywhere, are brilliant in their simplicity and effectiveness. It starts with composite material at its base, which resembles a piece of cardboard; or, another popular base is fiberglass. This base is flattened and then readied for a most vital feature that is then added to the manufacturing process – tar. This tar is mostly what seals so many rooftops from weather. The nature of the material is ruggedly protects from the elements while being pliable and flexible enough to work into tight areas. To further harden the shell of an asphalt roof, gravel is added to the still hot tar. Not only does this strengthen against tougher elements such as hail, it also moderates temperature. Black tar on hot summer rooftops would be extreme, and the lighter in color gravel, as well as its physical properties, relief that from being a problem. Commonality: The simple fact that this material is so popular is, in part, why it is a convenient choice for home owners. The material is plentiful. The overlapping system in which it is applied to your home is an effective way to thoroughly ensure a tightly sealed system. We see enough hail throughout the year here in the Ohio, so when a ball of hail may dent a single shingle, it is a cost-effective and easy fix. 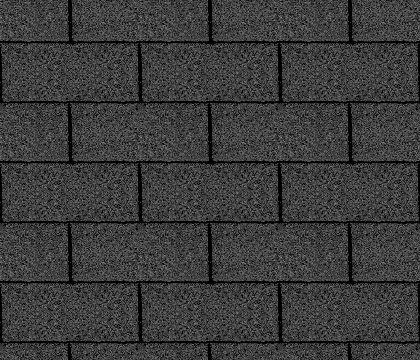 Affordability: Because this is such a popular material, you save money when you choose to go with an asphalt roof. Additionally, asphalt shingles are much more affordable than slate or clay tiles.Pitch: The greater the pitch of a rooftop, the more it can withstand the challenges of gravity. Think about it: imagine a fast-flying ball of hail screaming toward your house. A flat roof allows that force to smack squarely on the top, but a sloped roof encounters less velocity at an angle. That is true across the board – even gravity’s pull on the structure is less at an angle, and the light weight shingles of an asphalt roof handles pitch very well. We know this form of shingle and we know it very well since it is the most common form of roofing material in our communities. We have been intimately embedded within our neighborhoods for several years and carry an exceedingly high rate of word-of-mouth and, when necessary, repeat business. We are preferred contractors from the roofing industry’s leading manufacturers – a material is only as good as its installation. Also, we maintain a spotless record with the Better Business Bureau, so you can have absolute trust and a worry-free experience when you choose to invest in us as your business partners. Our #1 priority is you and your satisfaction with our work. We greatly look forward to receiving your call and can be at your rooftop at your convenience.